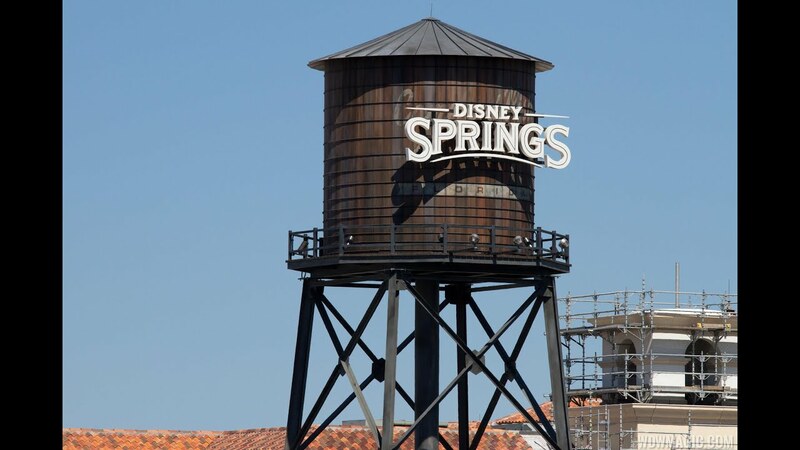 8 days ago in "Disney Springs"
The Grapefruit Parking Garage at Disney Springs is now open to guests, located directly across from the existing Lime garage and providing additional capacity and a direct entrance into the Marketplace. Grapefruit Garage features the upgraded smart parking system, which offers information about space availability on each floor, and then individual space availability within each row. The new system also details accessible parking availability on each level. There are more than 600 spaces per level, spread across 5 levels. Grapefruit Garage will be the primary parking location for Cast Members working at Disney Springs, freeing up space for guests in the closer Orange Garage. Like the other two Disney Springs garages, Grapefruit also includes electric vehicle chargers, and in this garage it is on the third level. As with Lime and Orange, a pedestrian bridge links the garage to Disney Springs, and in the case of Grapefruit it takes you directly into the Marketplace between Basin and World of Disney. The approximately 5 minute walk takes you over Buena Vista Dr., and although enclosed, is not covered. There is a stop halfway that gives access to the Disney casting Center. See the video below for a drive-through of the Grapefruit Parking Garage at Disney Springs.